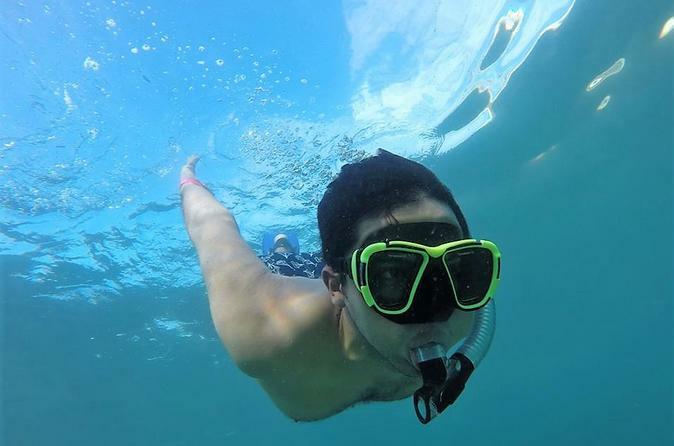 Snorkeling is a great way to get contact with the environment in Acapulco. It is very easy to learn and it ensures great fun in the Bay of Acapulco. It is ideal for exercise and quality time with friends and family. Come and learn from the locals who know the area. After being picked up from your hotel, hop onto a van for a 30-minute ride across Acapulco Bay. Snorkel above rocky coves for a look at the island's vibrant marine life, lounge on the sands of a centrally located beach where you can also spend some time enjoying sweeping views of the expansive Pacific and the Bay of Acapulco. Explore the beautiful waters of the bay of Acapulco on this 4-hour tour. You can relax on the lovely sand beaches and enjoy snorkeling in the pristine waters teeming with colorful marine life. Lastly, enjoy a delicious local lunch at a Mexican restaurant before being dropped off at your hotel.